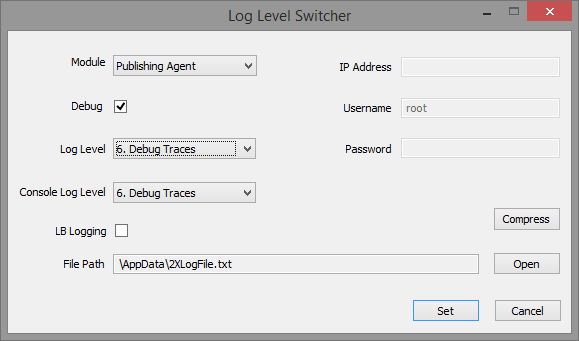 Save LogLevelSwitcher tool on the machine where Publishing Agent installed and run it. Choose Smart Card Redirector module. 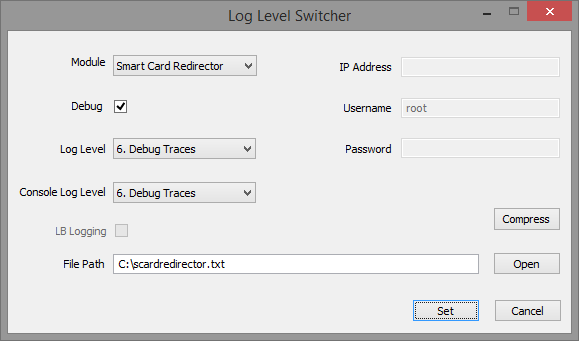 Specify File Path for Smart Card logs (e.g. C:\scardredirector.txt). Go to services.msc and restart RAS Publishing Agent service. RDP directly to Publishing Agent machine (using mstsc.exe or 3rd party RDP client) and authenticate using smart card. 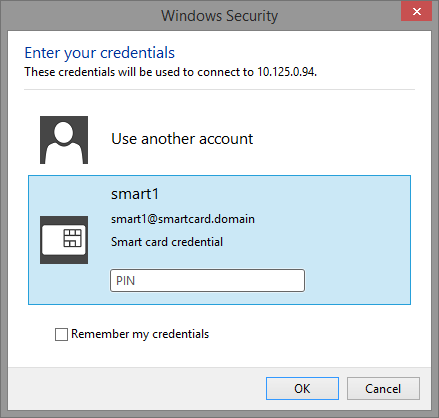 Attempt to obtain published application listing from Parallels Client using smart card authentication. Compress the logs and upload it on Parallels ftp share using link provided by Parallels Support representative.